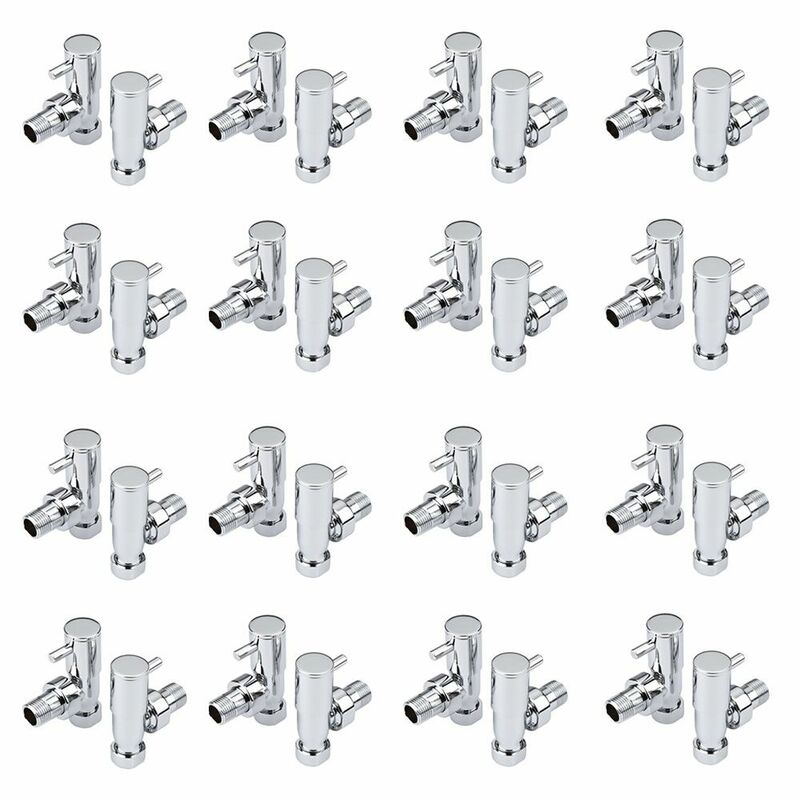 The minimalist angled radiator valves (12 pairs) are made from solid brass and feature a chrome finish. 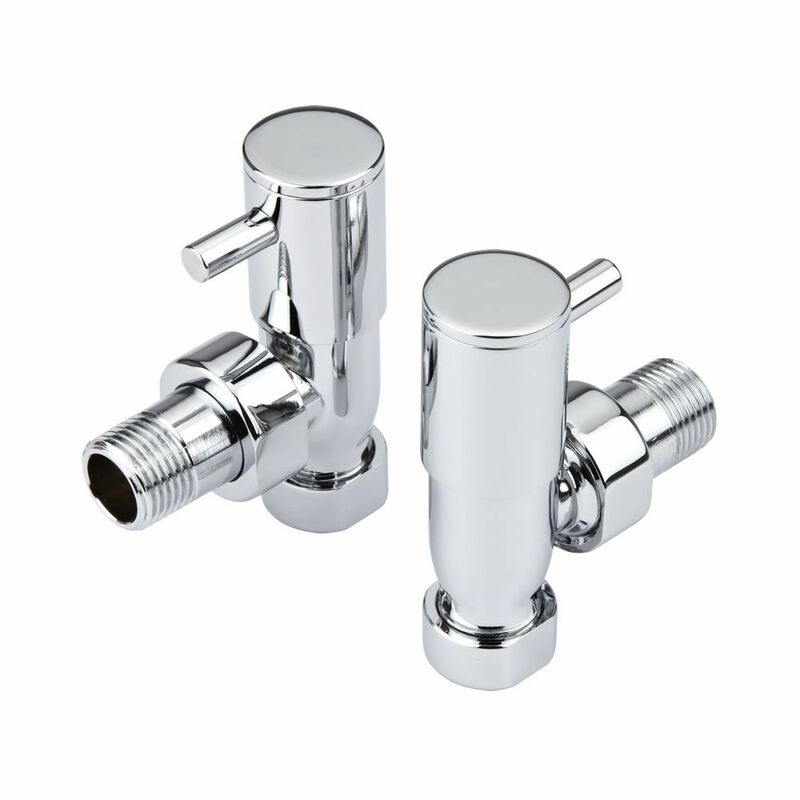 The angled radiator valves will perfectly complete the look of your heated towel rail or designer radiator. 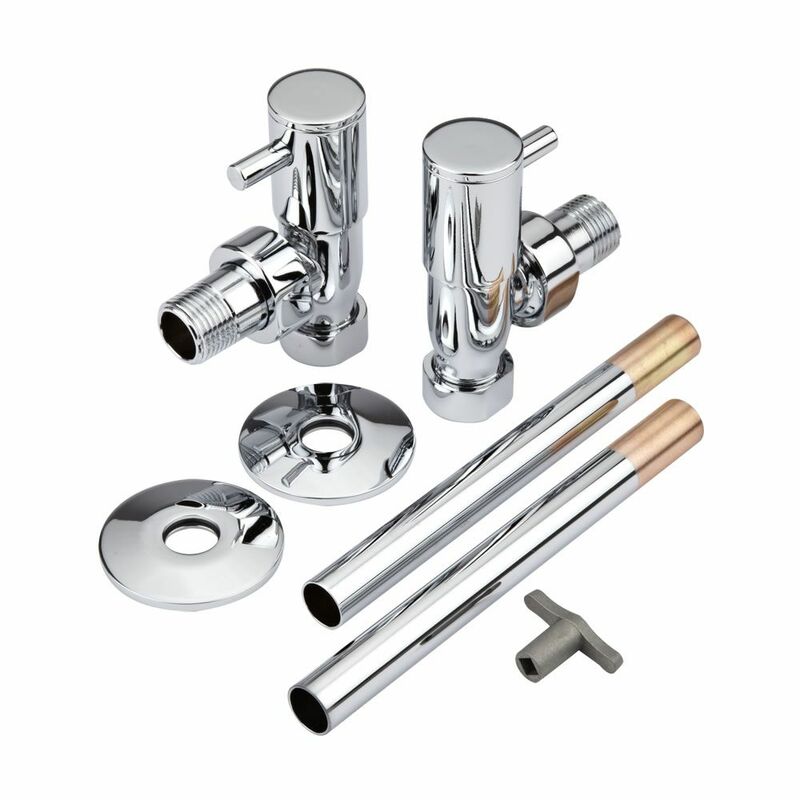 The valves are easy to operate and the chrome pipes ensure of a neat and seamless finish. 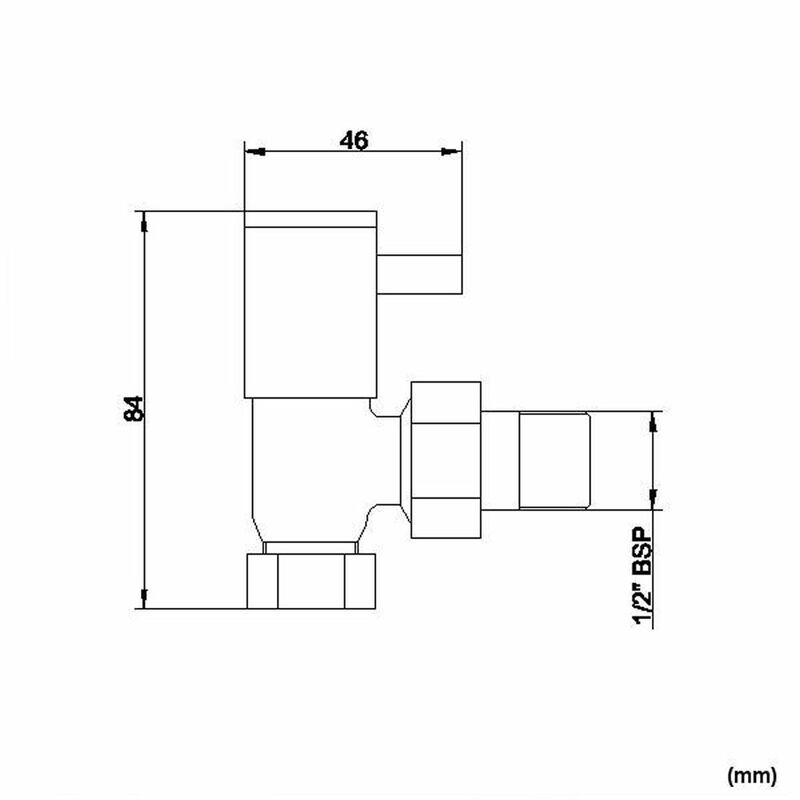 The minimalist angled radiator valves have a 15mm thread. Approximately 155mm in width will be added to the radiator when these valves are fitted.